Driving safely during the months that include snow, blinding storms, ice and slush takes preparation and the proper mind-set. What considerations do drivers need to make during the coldest of seasons? Well, there are several areas that really need your attention. It is important that once checked (and any deficiencies corrected), a car owner be sure to periodically certify that these items remain in good order. This is especially crucial prior to long trips. It is also helpful to keep plenty of fuel in your car or truck’s gas tank to avoid running out during weather related snags in traffic or if you must pull off the road. 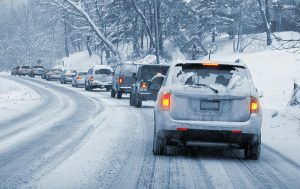 Be sure to read Winter Driving – Parts 2 and 3.